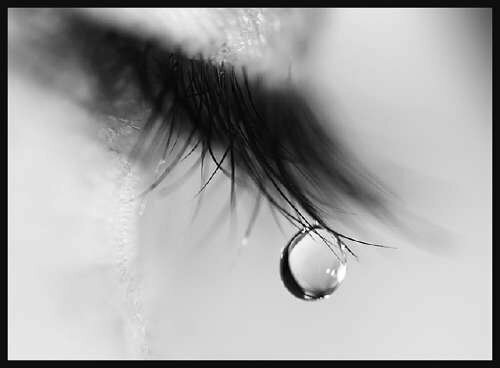 There is a lot of talk of tears on Twitter today. For today marks 'back to school' for many. Our back to school was last week and I am so thankful my 7 year old boy is very happy in his new Year Two class with his new teacher. He cried before we left on the first day last Tuesday, but as soon as he saw he was sitting beside his best friend, he had nothing but smiles. His new teacher had spoken to his teacher from last year and thought that might be good for him. And I taught her daughter when she was in Year 3, lots of years ago. She finished high school last year. Do I feel old? Kinda. But I'm very happy and excited about my boy's teacher this year. I worked with her when I was teaching and so far, he's the happiest he has ever been at school. it's so painful I don't know where to start. Perhaps I could tell you that on my first day of school I climbed to the top of the slippery dip (that's when they still had slippery dips in school playgrounds) and refused to come down! I can still see Mum's face, pleading for me to come down. I didn't until the teacher said he would climb up and carry me down. Both of my children have my attachment issues. I still have them now, and I'm 43 (did I just say that out loud?). We tried Miss 4 in kindy last year. She hated it, we pulled her out. She was only 3, I wasn't working, she didn't need to be there. This year however, it's basically pre-school. Next year she'll be in Prep, she needs to stay in kindy. Tomorrow is her second day (this year). I'm fairy certain she'll kick and SCREAM just like she did last Tuesday. She does not want to go and has been telling me every second of every minute of every hour of every day ever since I picked her up last week. We have a sticker chart. We have rewards in place. She wants to be brave, really she does. And I've been encouraging her all the way. I know she can do it. because I don't think it's going to be easy getting her out of the house. I used to assure parents all the time. But it is totally different when the child is yours. All that 'teacher wisdom' means nothing when the heart strings are attached. I hope your daughter turns a corner soon - and am delighted for your son's start to the year. Thanks Shar! It was worse this morning that last week, but at least she's happy when I pick her up. That's a good sign! If I were you, I would ask if I could stay for awhile. Sit her with a group of girls doing a puzzle or drawing and do a 'get to know you' thing. You ask the girls questions so your daughter can hear the answers. Tell her you will stay half an hour, then the next day twenty minutes, then 10. Each day help her to establish bonds with the same group of children, and hopefully by the fourth day, she will know them enough to be happy in their company. Another completely different approach is to get someone else to take her to school - your husband, best friend, or her grandparents. She might have a tanty at the house with you, but once the separation from you has been done, there shouldn't be a scene at school. Hopefully. Anyway, you MUST do something different to what you did last week, because that didn't work. You actually have to be hard on yourself, more than being hard on her. ((((((hug))))))) Great advice here. I don't have any but... (((((((hug))))))) One of Bens kindy friends had attachment issues. It was only leaving Mum in the morning and she was confident and happy at school all day, maybe her mum should have done something about it maybe she did. But the thing is although it went on for a very very long time and maybe that 10-30 minutes each morning was awful, that was just who she was - in that moment - but in all the other school moments she had all those other parts of her self to offer. K. is caring, extremely talented at sport, funny gentle and very popular but not to keen about the daily transition from "family to institution". Ya know, these's worse things. It is quite likely that Miss 4 will settle but in the mean time just keep enjoying the wonderful SHE that IS for the other 23hours x minutes a day. Oh Thea, watching your children struggle and dislike something so much, which you know they have to do is so hard, I'm not sure that it ever gets easier. My Muddy Preschooler did exactly the same thing when she started preschool and day care, I used to have to pry myself away. Eventually I just went cold turkey, I dropped and ran, because I was getting too emotional and it escalated her. It was hard and I cried rivers after getting in the car each time, but gradually with the help of the staff she was happy to settle, and yesterday when she had her first day of school, there wasn't a tear in sight and she went off happily. It's taken us a long while to get to this point and she still has her anxious and clingy times, but she has come a very long way. Good Luck with day two, I hope there's a ray of sunshine in your day, even if it's that she didn't cry as long as last week. Each day it will get easier for you both. It is one of the hardest things, I think. I was always a clingy child and am still at times a clingy adult. So I'm not at all surprised my two both are as well. But you are right, each day does get easier. Thank you!